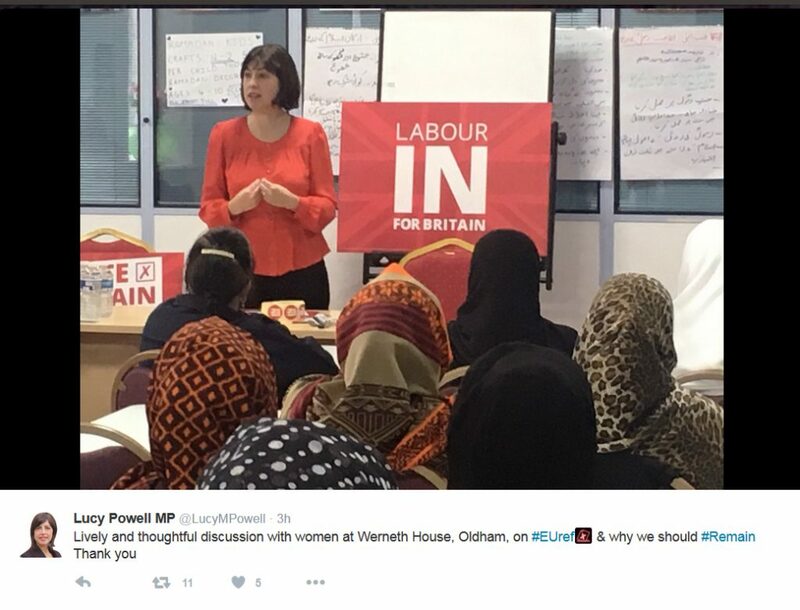 The usual subjects Debbie Abrahams and MEP Afzal Khan have joined Manchester MP Lucy Powell with only prime photo-opportunist Jim McMahon missing from this non-Oldham born Labourite collective who today are dragging London Mayor Sadiq Khan around a culturally selective Oldham for a session of EU brainwashing. 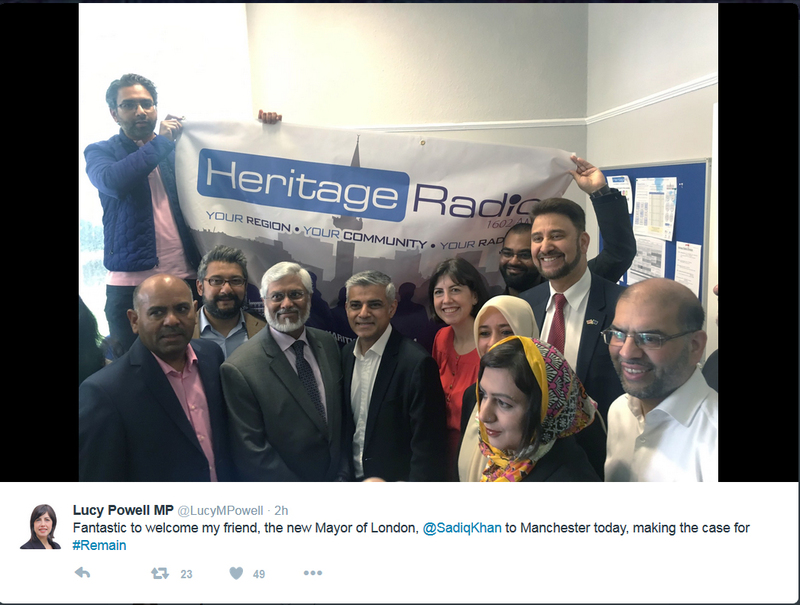 Sadiq Khan has clearly been shipped in to Manchester to engage in culturally targeted political manipulation. We really find these singular, unintegrated meetings as shown in the pictures below both unscrupulous and distasteful. 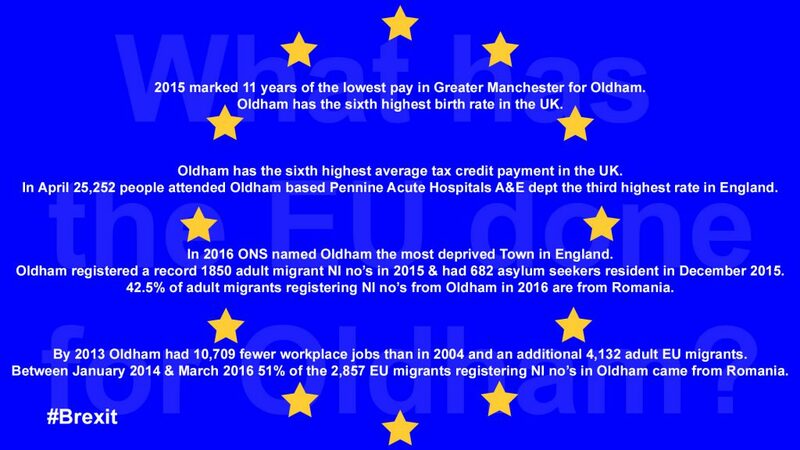 For a decision as big as EU membership Oldham should be addressed as a whole borough so all residents arguments can be represented both for and against rather than a culturally selective meeting that can manipulate cultural ideals, heritage and hierarchy. Mr Khan said “I have seen the figures for the amount of grant money that Oldham gets from the EU in terms of the regional fund, the structural fund, money we get for youth unemployment, money we get to regenerate the area” Unlike Chronic-Oldham but in keeping with Oldham’s Labour Party he produced no evidence for his claims just this unsubstantiated verbal rhetoric. Local people are quite aware that Oldham’s public purse has been saddled with the Oldham regeneration bill not the EU, he provided no facts, figures or evidence to back up just where and how much EU money is spent in Oldham. He mentioned the regional and structural funds but left out that these are managed by the Greater Manchester Combined Authority who received 18% less funds than expected from the EU because of fluctuating exchange rates. 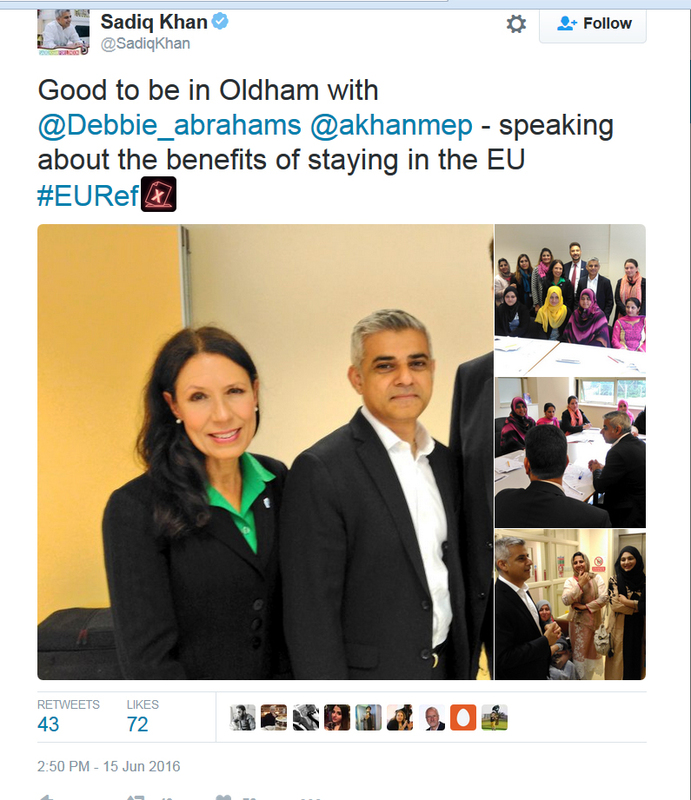 What has the EU done for Oldham Mr Khan?